With this brutally elemental full-proof, Velier has tamed the beast but retained the beastliness. 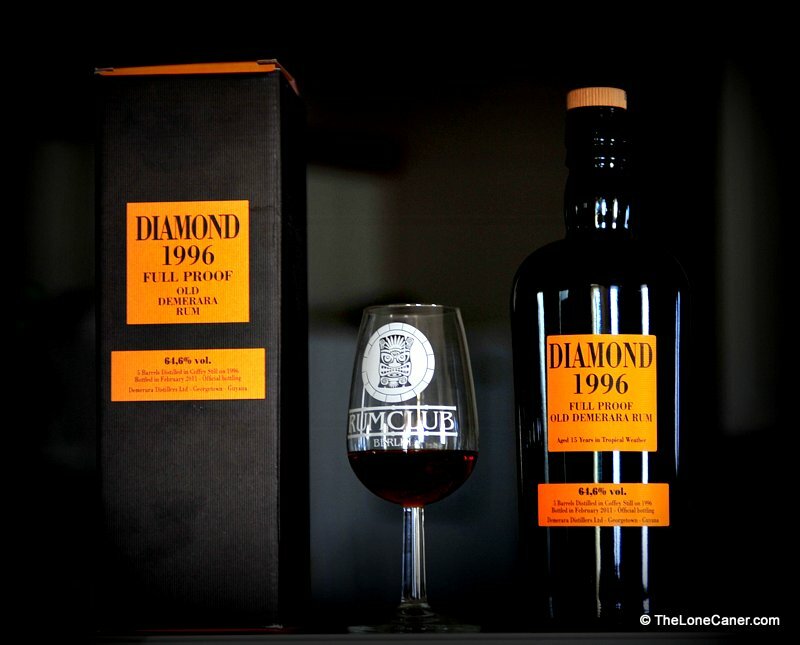 The makers of the Diamond Estate 1996 Full Proof must have received no end of emails and letters and online posts about how the Albion 1994 60.4% was a sissy pink cupcake of a rum meant for the weak, and how they demanded something with a tad more torque in its trousers. And so came the Diamond Estate 1996 15 year old from Velier or, as it is better known, the “please move over, delicate person.” I guess it was supposed to have a nice, genteel 40% kinda strength, but obviously somebody at Casa di Luca paid attention to the cry of the masses, and thought, “No. That’s too wussy. It’s too klein.” And therefore ratcheted it up to a rip-snorting 64.6%, which I’m sure you’ll admit, for a standard table rum, is kind of amazing. This baby would shoulder aside the Albion, batter a Flavell into insensibility, tromp all over the Stroh 54…and all for a reasonable price that would have Gordon & MacPhail or Cadenhead scratch their sporrans wondering how to translate wtf into gaelic. Truth to tell, the Albion is the only other rum I have aside from the raging mastodons of the 151s to which I can reasonably compare this bad boy. It had a different, less stark presentation than the black-and-white of that particular full proof (yellow orange label and packing ain’t my favourite, but whatever) and it seemed a little less intimidating at first blush. Rest assured that this was merely a trap for the unwary, to lure you in prior to rampaging over your palate. 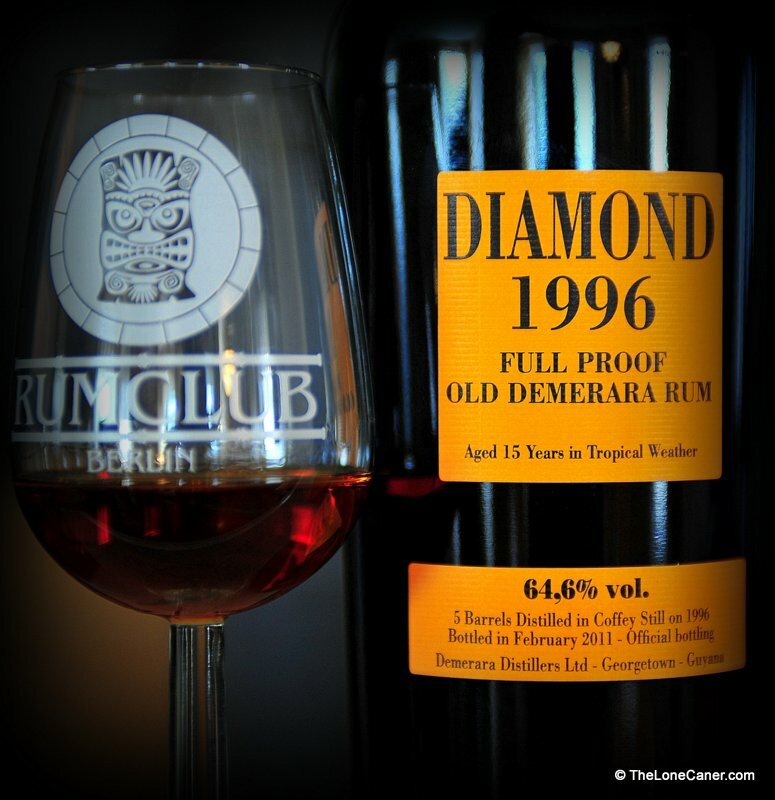 The rum was a light mahogany in colour, with an initial scent that was amazingly unaggressive – heated, yes, just less than one would expect from a rum bottled at more than 64%. There was enough rubber on the initial nose to recall a Trojan manufacturing facility running full out, but this disappeared fast, and then waves of sumptuous aromas billowed out of the glass: deep, dark unsweetened chocolate, with hints of orange rind; jasmine blossoms, nougat, caramel, molasses, licorice, with a last nuance of camphor and medicinal undertones. All these flavours from the nose came to more sharper and more clearly defined relief as I tasted it. You simply could not ignore a point-and-squirt, muscle-bound, nose-bashing throat-ravishing strength of 64.6%, of course – I’d be lying if I told you that, ‘cause in truth, the rum vibrated with enough power to shake the shag from my pipe. It’s remarkably well made in spite of that, though. At first, once the heat and spiciness became more tolerable, I tasted the aforementioned caramel, nougat and dark chocolate notes. Once it opened up, other flavours came forward: licorice, molasses, anise; leather and oak (less than you’d expect for a fifteen year old).And just as I thought I had the nuances nailed down, it coughed up blood and guts to show it was not quite dead, and presented a last note of marzipan and faint red wine. It didn’t have the deep fruitiness of the Albion, nor was it as sweet – and that’s a good thing, because it allowed the Diamond a uniqueness that went well with its brawny sibling. Finish: long; lasting; on and on, without hate or snarkiness, strong and heated and almost without end, closing things off with oak and well-oiled leather, chocolate and exiting at last with a last caramel flounce, like a Shatner who hates to leave the stage. Aggressive, yeah: I think the Diamond 1996 may be among the meanest, hairiest two ounces in the universe. It’s like the makers had a military fetish and wanted guns strapped to this baby…something that fires napalm, heat seeking missiles, and blows s**t up real good. Nothing else can explain why they so dialled up the volts when they issued this feral expression (unless they were aiming at the crown held by the SMWS Longpond 81.3%). Rums this strong are like tools built to military specifications: they’re are almost guaranteed to be friggin’ insane and survive a nuclear detonation. But the Diamond Estate 1996 Full Proof is more than just a pair of carbon-forged steel pliers that would crush the huevos of your daughter’s idjit boyfriend with the miniscule pressure of a three-year-old. It’s also an explosive addition to our celebration of overproof badassery. Can you tastefully blow something up with your boutique Panamonte XXV costing more than twice as much? Didn’t think so. And therein may lie some people’s despite for it. They may not say it’s “too klein,” just that it packs too much punch. But come now: if you complain about the fierce nature of the Diamond you’re missing the point. Yep, of *course* this rum is just like reggae played at earth-moving volumes from speakers like young fridge: if you cringe away and say it’s too strong, well, sorry dude, but you’re too old. And you should switch back to tamer, less inspired, less imaginative forty percenters, good and smooth as they may be. Or, perhaps, to scotch. 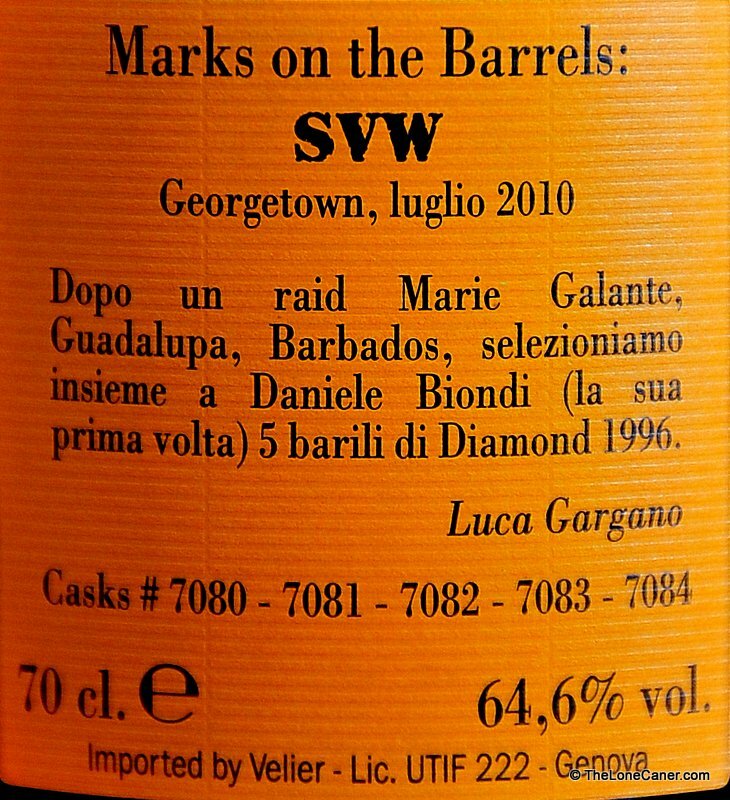 There’s a weird absence of information on the DDL website about this series of estate rums, and later I found out that Velier has dibs on old barrels in their warehouses, and then creates the final product in Europe — I’m wondering where the ageing is done, though Luca Gargano suggests it is aged in situ. Other expressions in the line are the Skeldon, Versailles, LBI, Port Mourant (there may be yet others)…l’m trying to track them all down. Originated in coffey still and aged in oak from 1996-2011. After my suspicions on the Albion, I make no statements about the veracity of the origin still, but do confirm that it’s a damned good rum. To my knolwedge, Velier buys barrels from DDL and other rum producers and bottles the rums in this distinct black bottles and huge letters or artwork labels. Luca Gargano (see back label) from Velier is responsible for choosing the barrels which are bottled. I found out yesterday from DDL that indeed they have nothing to do with this series of rums. I wish they did, but if Velier is going to charge ahead and make a full proof line as excellent as this, they’ll get my future dollars for sure. 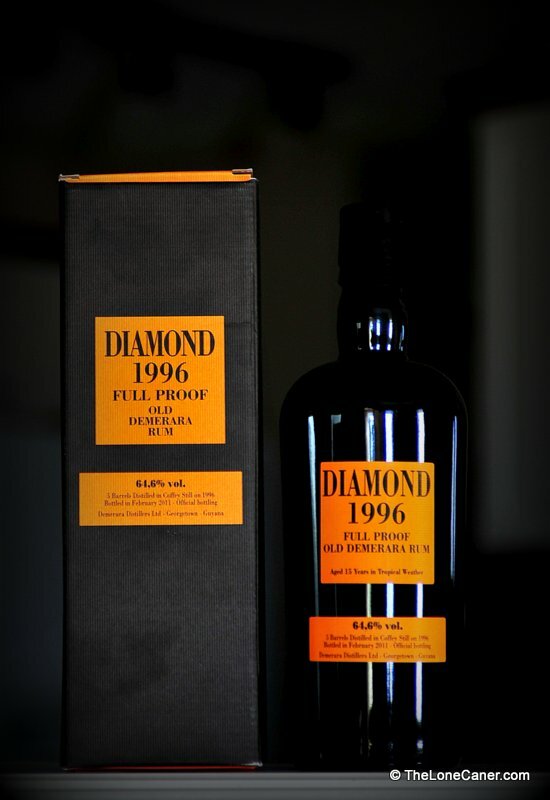 In addition to this version, they also made and bottled a 16 year old version of the 1996 (bottled in 2012 at 63.4% ABV. And only 828 bottles were produced). They have both at a superb specialist store here in Tokyo. I am determined to try one of these and am wondering which to go for. My logic tells me to go for the 16 year old. Has anyone tried both and prepared to offer an opinion?